A closer look at international tourism's effect on the New York City Economy. The impact and importance of international trade to New York City’s economy, as well as our regular summary. A look at gender and opportunity in NYC as well as our regular summary. 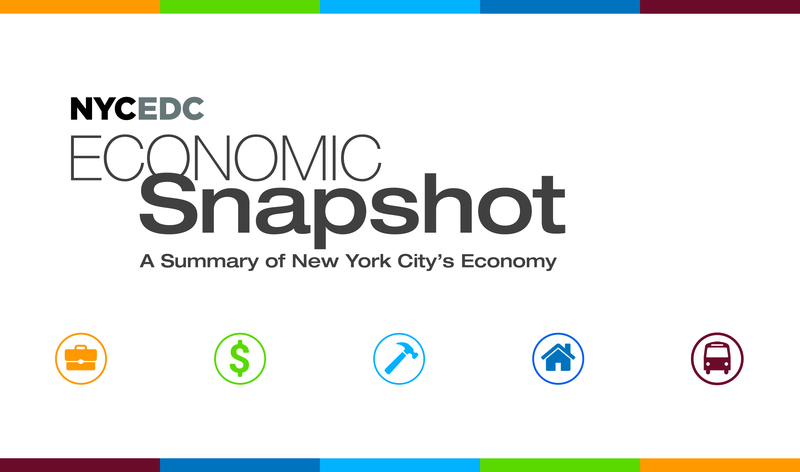 A summary of the city's economy and a look at small businesses in NYC. A summary of the city's economy, including employment, construction, and tourism data. Charitable giving in New York City, as well as our regular summary of the city's economy. New York City's commercial office forecast, as well as our regular summary of the city's economy.